Another period of growth has Waller Transport continuing to look to the future following a financial year that has seen the business break new ground. At a time when the haulage industry is generally feeling the pinch, Waller have gone from strength to strength in showing that a relatively small family-run business can provide an excellent service to blue chip companies and retail giants including Amazon, Wilkinsons and Asda. Since 2015/16, the business’s turnover has risen by approximately 25% with new customers, loading points and haulage partners acquired in Manchester, Ireland, Shropshire, Devon and the West Midlands. Employee numbers have also increased to facilitate this growth. Most impressive is the sheer scale that the company has now achieved; being responsible for over 12,000 loads in the last 12 months. In February this year, Adam Waller, a respected Suffolk businessman, former parish council chairman and devoted community member, passed following a long illness. Having been involved in Waller Transport, for more than 40 years, the legacy Adam left behind was so strong that employees were determined to see the business soar. Darryn Flynn, Adam’s son-in-law and the current managing director of Waller Transport, is committed to growing the business and building on the tremendous goodwill among clients, staff and the wider business community that Adam built. Founded by Adam in 1974, Waller Transport now has locations in Ipswich, Hull and Liverpool. Initially, the business revolutionised the way hauliers could operate and customers could trade by offering a haulage service that created economies around ensuring empty vehicles were filled with cargo wherever possible. It now offers a range of haulage solutions that are designed to meet the individual needs of every customer. 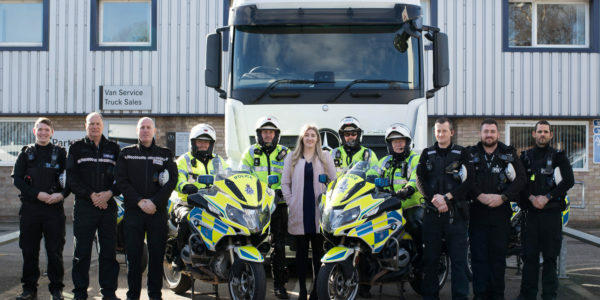 There have been a number of major operational developments at Waller Transport over the last 18 months – including the opening of the Liverpool office, which has a number of strategic benefits. “The Liverpool office gives the business a presence within close proximity of one of the UK’s newest and most thriving ports, providing connections to the ocean freight industry,” says Darryn. He adds “Our Liverpool team is extremely flexible and is positioned to provide a round-the-clock service to our customers. That means time-sensitive haulage needs can be met at short notice, but with a level of ownership beyond couriers and pallet networks”. There have also been changes to the firm’s traffic system, with traffic operators now able to source information more quickly, particularly when it comes to matching customer loads with available transport. This has made it possible to introduce a new range of services. 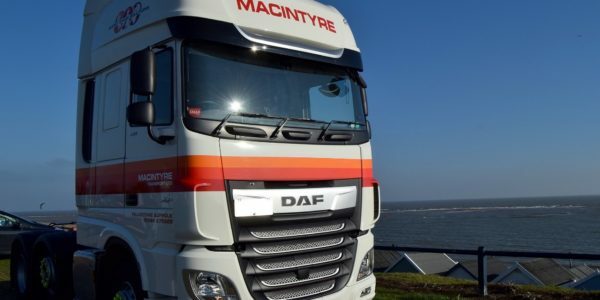 Darryn continues: “We are always strengthening our connection to the continent to offer an end-to-end road haulage service that spans beyond the UK so that we can assist our customers with pretty much any logistics requirement they might have. We have always – and will always be – grounded at our headquarters in Ipswich though”. “This, alongside the time-sensitive haulage solutions being pioneered by our Liverpool depot, is helping to form the bedrock of our expansion as we look to scale and evolve the return loads model that was so successfully introduced by Adam more than 40 years ago”.